The former Afghan President Hamid Karzai has accused the United States of growing extremism in the region, blaming Washington of pursuing a ‘dual policy’ towards Afghanistan. Speaking during an interview with Radio Free Europe/Radio Liberty, Karzai said senior U.S. officials would tell him that neighboring Pakistan was harboring terrorists responsible for attacks inside Afghanistan but urge him not to raise the issue with Pakistani leaders. 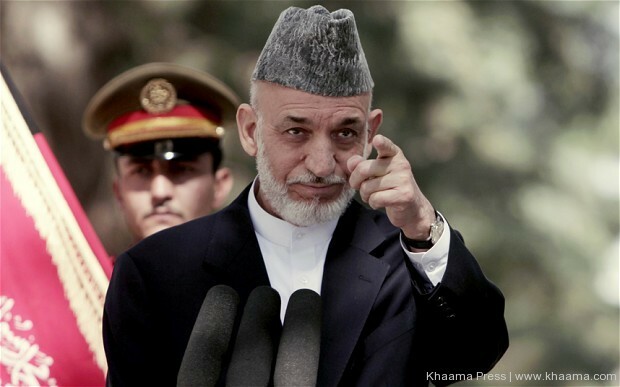 “On the one hand, some U.S. leaders would come and tell us that Al-Qaeda and terrorism are located and nurtured in Pakistan and that they come to attack us from there,” Karzai told RFE/RL Radio Free Afghanistan. He said “On the other hand, whenever we protested against Pakistan’s support for terrorism they asked us not to do so and whenever we asked them to take action, they made it clear to us that they couldn’t because of various problems. According to Karzai, the US-led war against terrorism has not only achieved its desired result but the extremism has expanded in the region despite 13 years of war in Afghansitan aimed at rooting out terrorism. 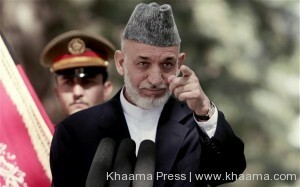 Karzai called the Taliban-led insurgency in Afghanistan ‘a state-sponsored tool’ while reiterating his accusation against Pakistan for supporting the group to stage attacks and continue violence in Afghanistan.